Dubious electoral endorsements are becoming normal for dictators worldwide. Cambodians went to the polls last weekend, but it was a sham of an election, dominated by Hun Sen, the country’s aging autocrat. With the opposition party banned and soldiers at polling booths to ensure the outcome went only one way, no credible organization signed off on the election’s validity—but quite a few fake organizations did. Election observation in authoritarian regimes is a relatively new phenomenon. Beginning in the late 1980s, the number of elections monitored by intergovernmental organizations, nongovernmental organizations, and sovereign states increased substantially. This brought increased criticism of the behavior of authoritarian regimes, which signaled their compliance to the norm of external observation in exchange for certain benefits, such as legitimacy, foreign direct investment, and membership in international organizations. This gave democracy promotion actors, which coordinated a majority of election-monitoring missions, newfound leverage over the behavior of authoritarian regimes. In the last decade, however, dictators have fought back. Writing in Foreign Policy in October 2013, Christopher Walker and Alexander Cooley identified the sudden emergence and increasing use of what they termed “zombie monitors” among a small group of savvy dictators. In the intervening years, there has been a wider effort to understand how exactly these groups erode domestic perceptions of electoral integrity and corrode the international norm of external election observation. The inconvenient truth, however, is that our determination to identify and analyze these zombie monitors has not kept pace with the more cunning ways dictators have subsequently deployed them. The last few years has witnessed a few distinct changes in the use of fake election observation groups, which has coincided with the rise of more sophisticated forms of cooperation among authoritarian regimes. The existence of zombie monitors generally does not become apparent until they release a deceptive statement after the election outcome, which makes glowing reference to the vagaries of integrity, peace, stability, and transparency. The opportunity to observe zombie monitors before they reveal themselves is thus rare. 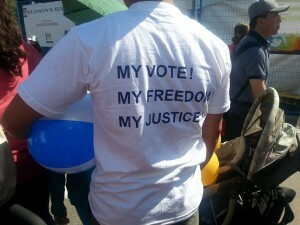 Unless, of course, you look to Cambodia’s general election last weekend. With no credible groups willing to validate a sham election, Hun Sen turned to zombie monitors to do so. This included more well-known groups such as the Centrist Asia Pacific Democrats International, International Conference of Asian Political Parties, and the Shanghai Cooperation Organization. All of them have a documented history of prejudicial election assessments. At the center of the zombie horde in Cambodia last weekend was Anton Caragea, who has established tiesto Hun Sen and who has previously bestowed strange awards upon dictators in Djibouti, Ethiopia, Tajikistan, Turkmenistan, and Zimbabwe. 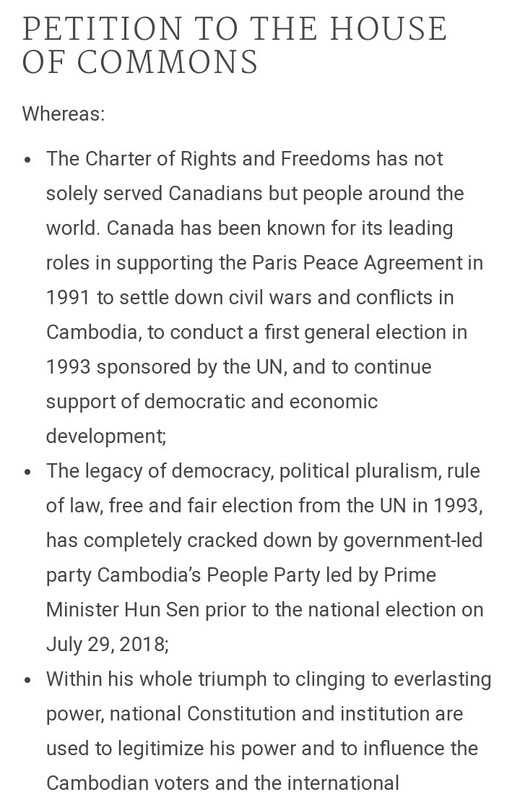 Caragea’s Twitter account is a stream of praise for Cambodia and Hun Sen. Using his leadership of the European Council on International Relations (not to be confused with the European Council on Foreign Relations), Caragea has also previously providedflattering assessments of highly flawed elections in Kazakhstan. Described as a professor of international relations from Spiru Haret University in Bucharest (declared to be a “diploma mill” by local journalists), Caragea is the recipient of dubious titles and awards bestowed by dictators around the world. He claims to be the author of 20 books and more than 300 articles across the fields of cultural history, development, heritage, history, humanitarian activities, international relations and diplomacy, political and economic doctrines, and theology. None of these books appear anywhere online, except on his website. Cambodia isn’t the only country using such groups. Eurasia was the birthplace of zombie monitors. In their original analysis, Walker and Cooley identified the deployment of these groups in Azerbaijan, Belarus, Kazakhstan, and Russia. The scourge of fake election observation groups is now a global problem. In May, for example, then-Prime Minister Najib Razak attempted to use the Malaysian Commonwealth Studies Centre to lend credibility to the general election. (This represents an exceptional case of a dictator who used a zombie election monitor and still lost an election.) Similar zombie monitors have been reported in Ecuador, Egypt, Ethiopia, Mozambique, Sudan, Tajikistan, Uganda, Uzbekistan, Venezuela, and Zimbabwe, to name but a few countries. The appeal of fake election observation groups is evidently spreading. Beyond the fact that zombie monitors are now operating on four continents, the target of their subterfuge has also expanded. The initial purview of these groups was national elections held periodically for executive and legislative office. Despite that still being the primary focus, dictators have begun employing zombie monitors for subnational elections and referendums. In Venezuela, for example, President Nicolás Maduro had the Council of Electoral Experts of Latin America give a clean bill of health to the 2017 gubernatorial elections, which were judged to be clean and transparent by its 1,300-member delegation. In Ukraine, Russian President Vladimir Putin used the Eurasian Observatory for Democracy and Elections to recruit scores of politicians from far-right parties to validate the 2014 Crimea referendum, which was regarded as illegitimate by the European Union and the United States. Another distinct change in the way authoritarian regimes employ fake election observation groups is denoted by the decline of regional zombies. The most systematic account of this phenomenon identifies intergovernmental organizations or international nongovernmental organizations run by authoritarian states as the main antagonists, such as the Commonwealth of Independent States and the Shanghai Cooperation Organization. But in recent years dictators have increasingly turned to an endless array of smaller organizations, some of them and some themselves with ties to authoritarian states. In such cases, prominent individuals representing these organizations have been recruited as agents of manipulation and misconduct. The few distinct changes dictators have made to the deployment of fake election observation groups has compounded the difficulty of identifying and analyzing their activities. 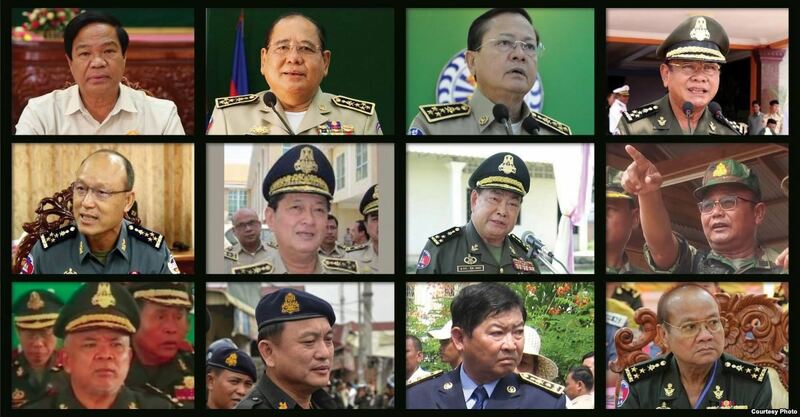 The zombie show taking place in Cambodia this weekend represents the most egregious example yet of an authoritarian regime using fake election observation groups. Despite the growing audacity of dictators, a coordinated response from the democratic states that have long promoted the international norm of external election observation has yet to emerge. The evolution of zombie monitors requires demands more resources be devoted to identifying, analyzing and, ultimately, discrediting them. The worst-case scenario is that these fake election observation groups become indistinguishable in the public eye from professional observation groups. This eventuality would do quick and lasting damage to the cause of democracy around the world. Lee Morgenbesser is an assistant professor at Griffith University’s School of Government and International Relations in Australia. His most recent book is Behind the Façade: Elections under Authoritarianism in Southeast Asia. ពេលជួបប្រទះការគាបសង្កត់ តើប្រជាពលរដ្ឋខ្មែរគួរធ្វើអ្វីខ្លះ? When there is the oppressed, what should Cambodian people do? 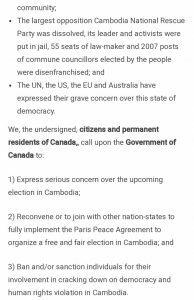 3) Ban and/or sanction individuals for their involvement in cracking down on democracy and human rights violation in Cambodia. 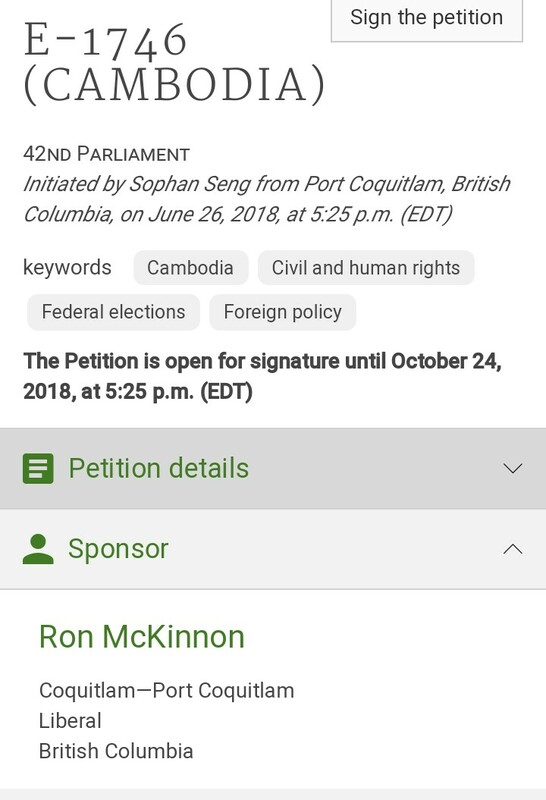 Click this link to sign this online petition. 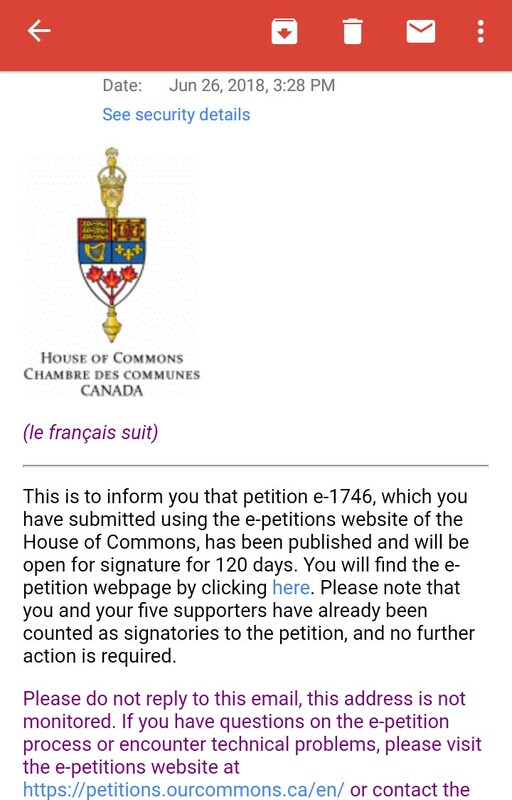 This is to inform you that petition e-1746, which you have submitted using the e-petitions website of the House of Commons, has been published and will be open for signature for 120 days. You will find the e-petition webpage by clicking here. 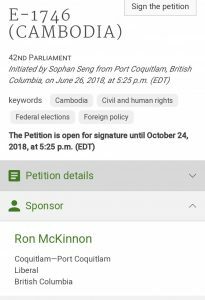 Please note that you and your five supporters have already been counted as signatories to the petition, and no further action is required. Please do not reply to this email, this address is not monitored. 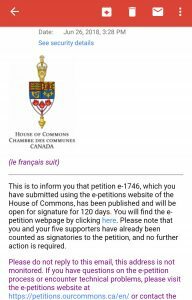 If you have questions on the e-petition process or encounter technical problems, please visit the e-petitions website at https://petitions.ourcommons.ca/en/ or contact the Clerk of Petitions at PMB-AED@parl.gc.ca. Le présent message vise à vous informer que la pétition e-1746, que vous avez présentée à l’aide du site Web des pétitions électroniques de la Chambre des communes, a été publiée et sera ouverte aux signatures pour une période de 120 jours. Vous trouverez la page Web de la pétition électronique en cliquant ici. Veuillez noter que vous et les cinq appuyeurs de la pétition avez été ajoutés aux signataires; il n’y a donc aucune autre mesure à prendre. Two things to be considerate on the recent election in Malaysia: the overseas Malaysians voters and the national institution. Malaysian Election Commission is appointed by the King of Malaysia to conduct nationwide election. This election of May 9, 2018, 14 millions were registered to vote and 82% voter turnout. There are 7,979 Malaysian voters overseas according to the EC. Malaysia has allowed overseas citizens to vote since 2012 except in Singapore, southern Thailand, Kalimantan and Brunei. 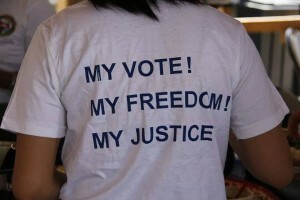 In Southeast Asia, Malaysia, Indonesia, Thailand, Myanmar, Philippines, and Singapore, have allowed overseas citizens to democratically vote during national elections. Malaysia is Constitutional Monarchy like Cambodia. The King is the Head of State who exercises power through the provision of constitution to ensure rights and freedoms, commander-in-chief of the national arm-force, and chief of magistracy to ensure judiciary system is capable and competent. Lee Morgenbesser, an expert on authoritarian regimes, said the elections would “absolutely not” be free and fair, even with the CNRP’s participation. “The minimum standard requires that all parties and candidates be subject to the same procedures for registering and appearing on the ballot; all campaign and compete on a level playing field; all have equal access to the media; voters be free to vote for their preferred candidates; and official results accurately reflect the votes that were cast,” he explained. 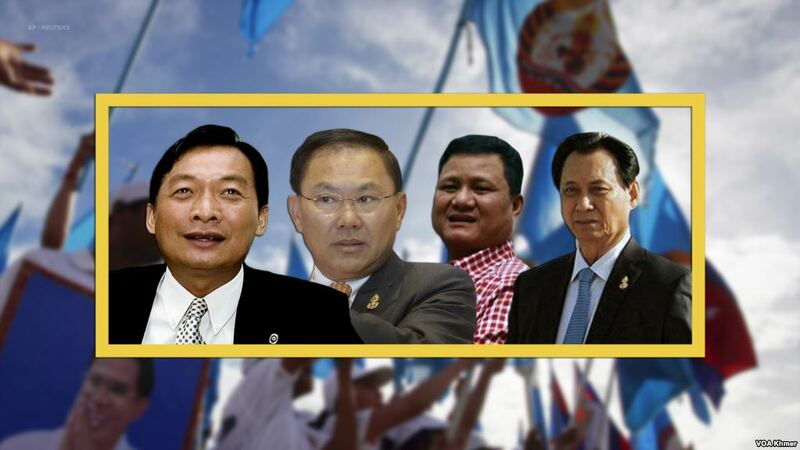 Cambodia has failed to satisfy each of these requirements – and few would be resolved even if the CNRP were revived. The government has even abandoned symbolic gestures such as Phnom Penh’s “Freedom Park,” established in 2010 to satisfy the country’s Law on Peaceful Demonstrations. The park, which hosted mass protests following the disputed 2013 elections, is supposed to be a designated area for citizens to gather in protest. It was closed down after Hun Sen ordered it to be relocated to the outskirts of the city, around 4 kilometers away from the original park. The relocation seems to violate a clause in the law that requires the park be easily accessible to the public. Today, 10-foot high metal walls have cropped up around the park, blocking access entirely. 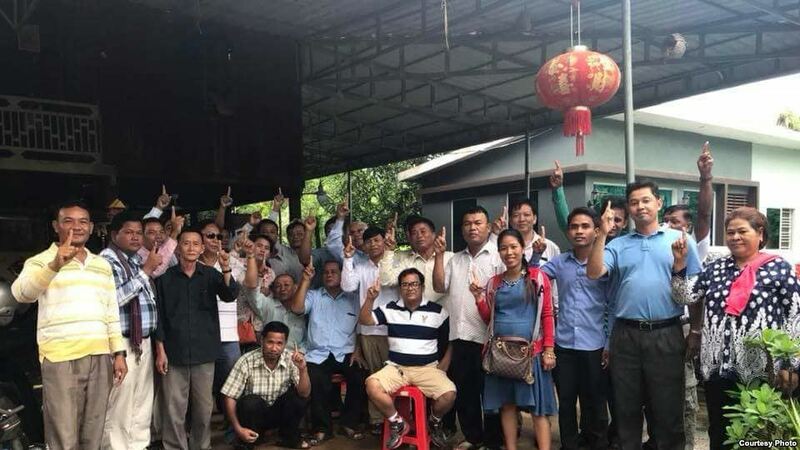 The closure of Freedom Park may make little difference, given that Hun Sen has expressed his willingness to kill 100-200 people to maintain stability, and Ministry of Interior spokesman Khieu Sopheak bragged that nobody “dares” to protest. The forced exclusion of the CNRP has understandably grabbed headlines. But the restrictions on free speech, media, civil society, freedoms of association and assembly, and the possible absence of election observers indicate that even if the CNRP were miraculously resurrected, the Cambodian elections would still be a far cry from free and fair. If passed, the bill must be enacted into law within 180 days, although it is not yet clear when the House will vote on the legislation. 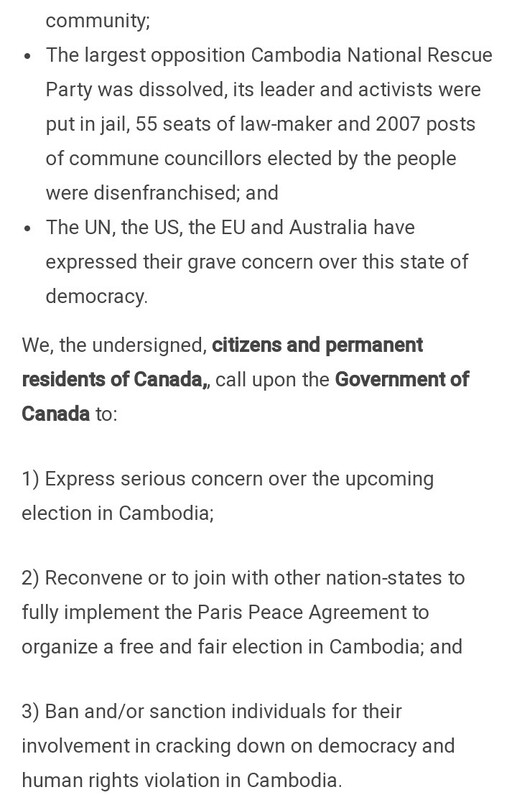 The Cambodia Democracy Act 2018 states that democracy has failed in Cambodia despite “decades of international attention and assistance,” and condemns the deteriorating situation for political rights, civil society and the free press. The legislation’s co-sponsor, Alan Lowenthal, called the bill a “major step” towards holding Hun Sen and his associates accountable. Cambodian officials identified as being involved in undermining democracy are already banned from traveling to the US following a December decree from the State Department. There are now bills in both the US Senate and House that would impose asset freezes, although the Senate bill goes even further by requiring that the US oppose loans to Cambodia from international financial institutions. It also bans any negotiations on the more than US$500 million debt Cambodia owes America dating back to the 1970s. 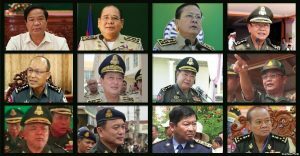 Cambodian officials’ assets are difficult to track given that asset “declarations” sit in a closed envelope in the government’s Anti-Corruption Unit. Some high-ranking officials like Siphan are dual US-Cambodian citizens. Rainsy also said Hun Sen “is holding his people hostage and blackmailing donor nations” by flaunting the negative effects sanctions would have on average Cambodians. While the US hasn’t threatened the garment industry specifically, officials have warned that further action is on the cards. Rather than a competition between the CPP and another party, the election is shaping up to be a competition between voters and abstainers. With the CPP all-but-guaranteed a win, it is voter turnout that counts. 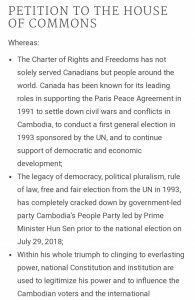 As Cambodian political analyst Meas Nee points out, the CPP’s concern is no longer winning the election, but maintaining legitimacy and “minimum recognition” from the international community.